January 2017 - we are looking for a carpenter to help with various projects. 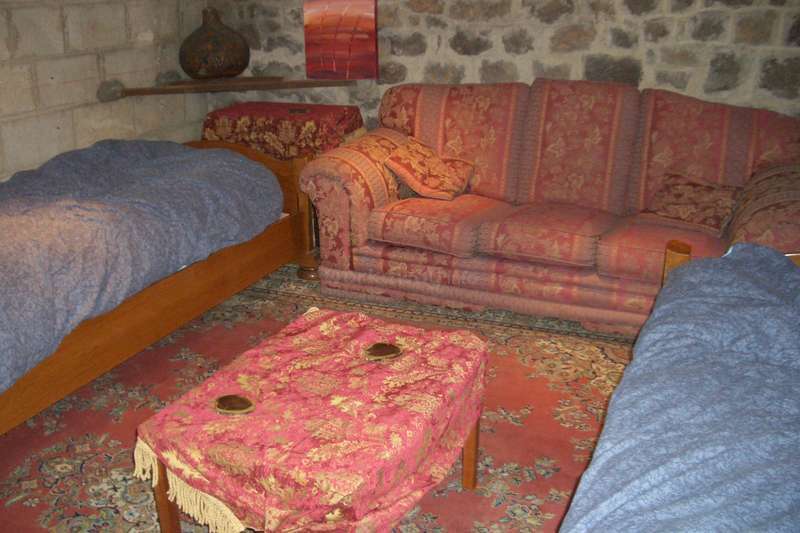 You will be in a luxury room in our bed and breakfast. April to July 2017 - we are looking for help with gardening, carpentry and building work from April to July. 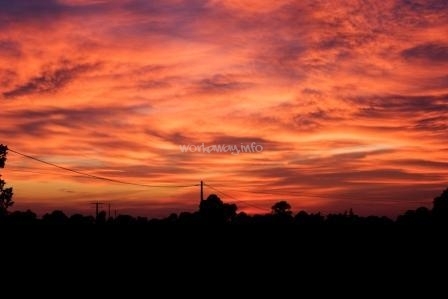 From July onwards there will also be harvesting work. August 2017 - we are also looking for a volunteer to help for the first 3 weeks in August to help with the bed and breakfast - cleaning, washing bedding, making up rooms and helping serve breakfast and evening meals and harvesting fruits and berries. If you have the talent you can help cook as well. Please note we only need help with the bed and breakfast in August, so do not contact us for this work at other times of the year. October and November 2017 - we are looking for help with building and carpentry work. We are also looking for help moving the wood pile into the barn from the forest and chopping down eucalyptus trees. We accept volunteers for longer stays of 1 to 3 months. We will except a shorter stay for the August bed and breakfast helper of 3 weeks, or longer if you are keen to help with other jobs as well. If you have a good attention to detail, like physical work and do not tire easily this is the place for you. If you are not used to physical work you will find the work here too physically demanding. 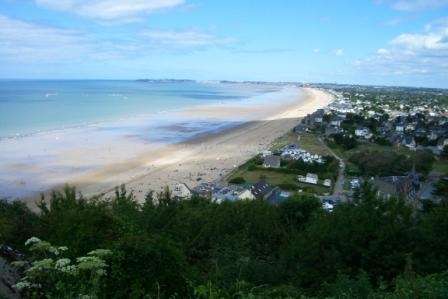 We are 12km from the famous market town of St Hilaire du Harcouet and the WW2 history town of Mortain and 1 hour from Mont St. Michel and the beach. Peter (62), spends most of his time with his eco building projects in the house and garden and helping with the B&B. Katy (47), teaches Tai Chi, Qigong and Relaxation and helps with the B&B. Both Peter and Katy meditate daily. We are creating a 1 and a ¼ acre forest garden for eco living to provide all organic vegetables, eggs, firewood and medicinals. 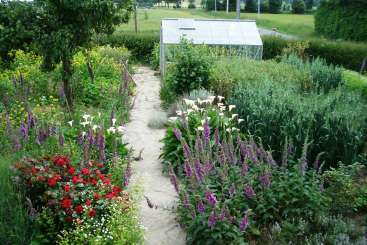 Trees, shrubs and perennial plantings will fix the nitrogen to feed the soil and provide food, drinks, twine and medicines while attracting beneficial insects. 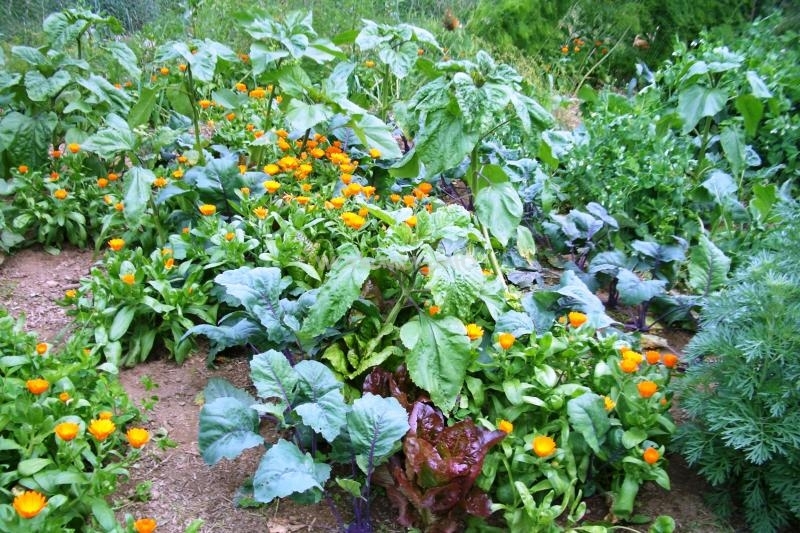 We are on a steep permaculture and sustainable living learning curve. We grow many vegetables and fruits, saving our own seed and sourcing heritage varieties. Sustainable living includes eating what we grow so don't expect bananas. We only buy fruits and vegetables from the shops when we don't have enough fresh or preserved. 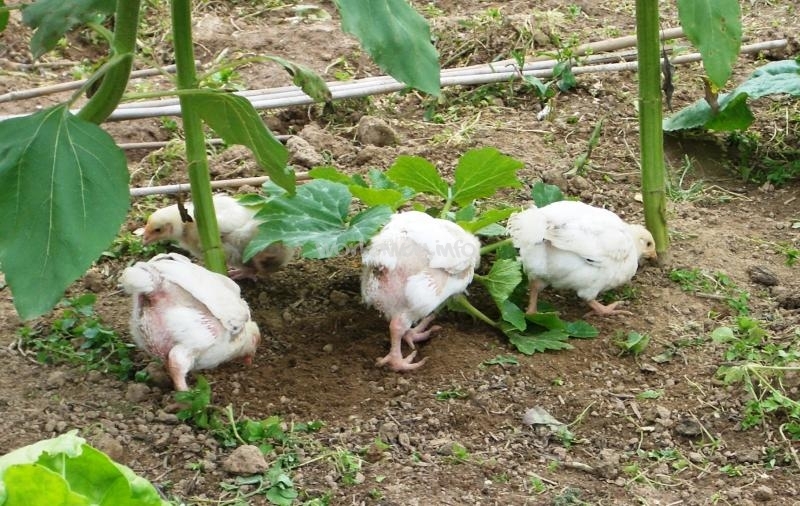 Home grown foods often take longer to prepare, as they need to be harvested and washed first and come in all shapes and sizes and taste great. Dinner preparation generally starts with a walk around the garden picking produce so please do not volunteer if you prefer ready washed food from the fridge or shops. Sustainable living is not as romantic as you might think! We eat a mainly vegetarian diet with regular fish and very occasional meat. Vegetarians, vegans, meat and fish eaters are all welcome, as long as the meat and fish eaters are happy to eat mainly vegetarian. We do not drink alcohol ourselves yet are happy for you to enjoy the odd glass. We love stimulating conversation, music, meditation and uplifting books and films. We have loads of books (mostly in English) you are welcome to read. We don't have a TV. We have a good wireless network so feel free to bring your laptop or other devise. We are very rural so if making music, reading, conversation and when the evenings are light the countryside are not your thing this is probably not the right place for you. Peter and Katy are interested in living sustainably and uncovering their full potential, and humanities full potential. They wish to meet others who want to find out about themselves and the environment and how we can live naturally in physical and spiritual abundance. We have found it does not work out for us with volunteers who want to drink alcohol every night, but if you like a glass of wine or beer a few times a week you are welcome. No alcohol is to be taken into your room. Workawayers who ignore this are asked to leave. We find we mainly speak English at home when we have English speaking volunteers so if you want to improve your French speak in French and we will naturally answer in French. Likewise we mainly speak French when we have French speaking volunteers. We are spiritual, meditate and look within. We know a lot about what does and does not work at a sustainable level. We are also in the heart of rural France. Anyone who is interested in the above or who simply is unemployed at the moment and is happy to work in exchange for their keep is welcome. We have found it works particularly well with people who do a little paid work on line as they need to earn very little while volunteering to have a great quality of life and we benefit from achieving so much more than we can at a practical level on our own. We ask for 5 hours volunteering 5 days a week plus a fair share of the cooking and washing up. We all eat together and provide 3 meals a day. Most of the work is physically demanding so do not volunteer unless you have the stamina for the work and are not afraid of the odd aching muscle! The January carpenter will be in a luxury bed and breakfast guest room. For our April to October volunteers - we have created a volunteer/visiting friend & family room in the cellar so we can have volunteers/family/friends and paying B&B guests at the same time. We go to bed early so you will need to be quiet after 10.30pm. We have paying bed and breakfast guests staying in the same house. You need to be clean, tidy and respectful at all times or you will be asked to leave. Please state when you apply if you do not wish to share the room (which has 2 single beds) or you wish to place a restriction such as female room mate only. This helps us organise volunteers, friends and family. We are very rural. The train from Paris is about 3 hours to Vire, followed by the number 14 bus to Mortain. There is public transport from the ports of Caen and Cherbourg and the towns of Avranches and Rennes. The train from Paris is about 40 euros one way booked last minute and much cheaper booked in advance, the bus 3 euros. We have bikes available for workawayers to use - bring your cycle helmet. 25 hours per week plus a fair share of the cooking and washing up. The lounge, would you like to help prepare the wooden floor for sanding and varnishing by cleaning and filling the gaps? 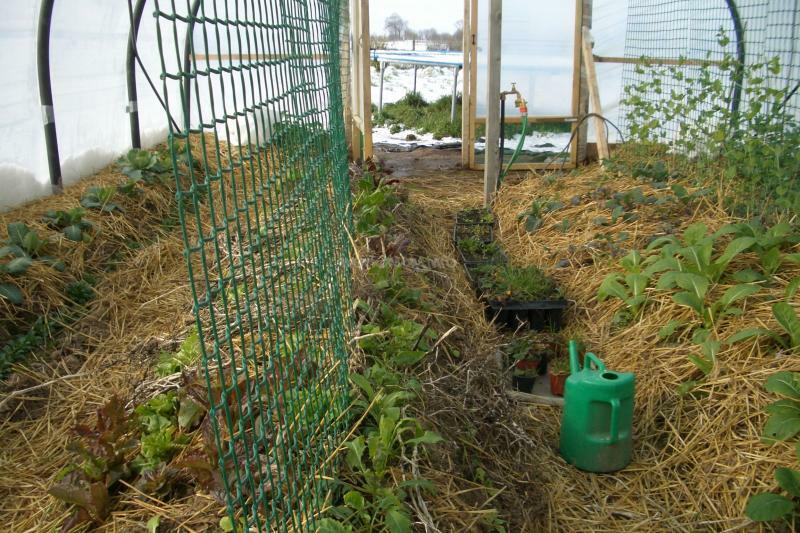 The polytunnel in january snows with growing vegetables. Susana was great. She helped with the bed and breakfast, changing rooms and cooking and serving meals to guests as well as picking berries, harvesting vegetables, cleaning out the chickens and a bit of gardening. She is friendly with absolutely loads of questions and interested in everything! Thanks for staying. Mattia is a lovely, friendly, keen, strong volunteer who was very respectful of our family ways of doing things and fitted in easily. He helped bring in logs for the fire, clean out the cellar, clear up the barn, cut up firewood and chop down trees. He also helped in the garden digging the polytunnel, clearing the vege patch, spreading manure and… read more cleaning out the chickens. He makes great pizzas and was always happy to help with the washing up or drying up. Mattia's english is plenty good enough to explain jobs and ideas as long as you take the time to find words he knows and check he understands - you will be rewarded beautifully for your effort. We miss you already Mattia. If you get an opportunity to host Mattia take it! Peter , Katy and Jasmine are very beautiful and friendly people. If you want to eat every day better than restaurant , if you like go around with bike, if you like quiet and beautiful land this is the right place. I felt like at home and I'm really happy to met this people. Arif was eager to get involved and helped chop up trees for firewood and clear out a store room to make a workawayer bedroom. He was quiet, considerate and respectful and enjoying his tour of europe, despite his first ever experience of winter! We recommend Arif. Peter, Katie and Jasmine (And Midnight the cat) welcomed me to their home and made me feel like one of the family, I couldn't ask for a more positive first workaway experience. The work was varied and interesting and I managed to thoroughly explore the surrounding Normandy region and even fit in a great 4 day visit to Paris. The home grown food… read more was healthy and delicious, and between the active work and frequent cycling I got into probably the best shape of my life. I also had many chances to interact with many charming b&b guests, neighbours and residents of nearby St Hilaire (Although I didn't get to meet the local countess!). Recommended stay for adaptable and fit workawayers who enjoy cycling/running and exploring their surroundings. It was great having John Workaway with us. He is respectful and a very easy guest to have in the house. He dug up potatoes, weeded, mowed, made jam and chutney, brought in the harvest of peaches, apples, pears and beetroot, dug up some of the brambles and cleaned out the chickens. He also helped with some DIY including scraping railings to… read more remove rust. He is a good all rounder and got stuck in even with the not so fun jobs. He makes a great Spanish omelette and potage and levain (a type of bread). He did loads of washing up and put up with kitchen renovations without a single winge! We recommend John and miss him already! It was great having Clint help out building a fitted bedroom wardrobe, our only regret is he could not stay long enough to finish it or help with the kitchen re-fit. He is not just great at cabinet making - he helped by showing and explaining how to do things so Peter can finish where he left off. A big thank you for the hinges, catches and… read more screws you left. We are very glad you came. It was an absolute pleasure to spend a few weeks with Peter and Katy. The whole family is very kind and generous. The lifestyle and philosophy that they are trying to achieve gave me a new perspective with which to view the world and I grew a lot from hearing their ideas. I was so sad to go! Take advantage of an opportunity to work with Peter… read more and Katy if you can. Rachel is an enthusiastic, energetic person keen to get stuck in and help out in any way she can. 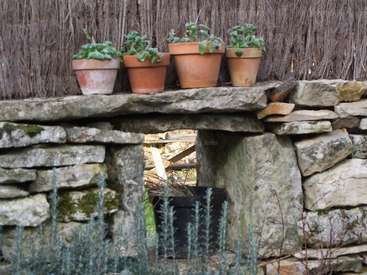 She was great with gardening, wood work and heavy lifting building a dry stone wall. We miss her already. If you have the opportunity we reccomend you host Rachel. You won't regret it. 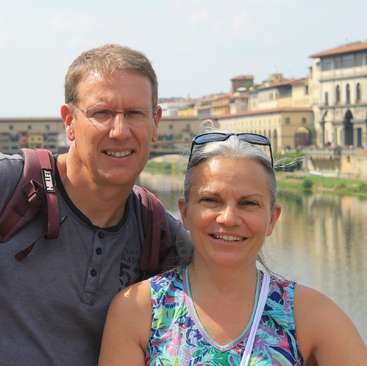 If you engage well with Peter and Katy's life you will find your time with them most enoyable. The lifestyle they are succeeding at living is, in short an inspiration. The food was the best food we have ever had on our travels, with most of it coming straight from the garden! Delicious and noticably better for the body, the feeling of eating this… read more way cannot be described here... one must experience it for oneself. Peter and Katy welcomed us into their home, and after setting their boundries we felt like we quickly became members of the family. Katy shared her tai chi in her weekly lessons and in the mornings before breakfast (when we succeeded in crawlin out of bed in time!). Then breakfast would commence; the most amazing porridge we have eaten in our life. Both Warren and Jasmine were at the house at the time of our stay, and we found both to be enjoyable and polite. 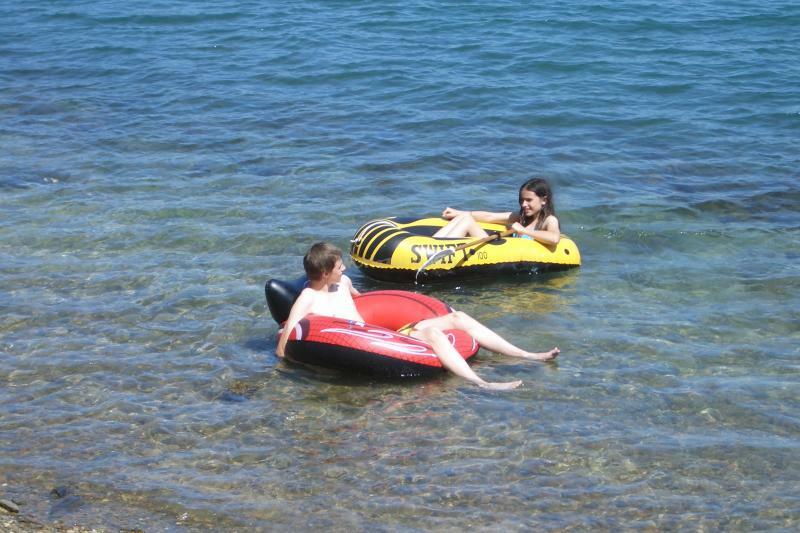 Had a good laugh with them in the house and on our seperate day trips to the lake and the beach! 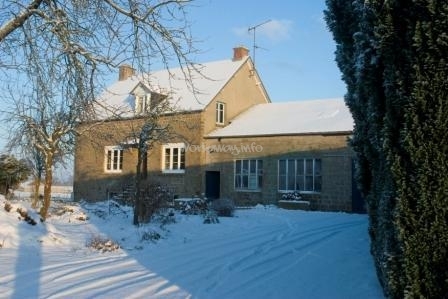 Katy and Peters house is in a very rural part of Normandy, and so when applying for workaway there you should bear in mind the surrondings are that of nature and tranquility not of busy towns and clubs. If you are interested in learning and experiencing the toughness and simplicity of a close to self substaniable lifestyle then this is the place for you! Thankyou Peter and Katy for sharing your lives with us! We really enjoyed your company, and learning from you all the things you were so happy to share. Mat and Louise are brilliant workawayers, always looking to help out. They looked after the animals, helped in the garden, worked on renovations in the barn and cooked many a great dinner. Louise was also great at helping preserve the produce. 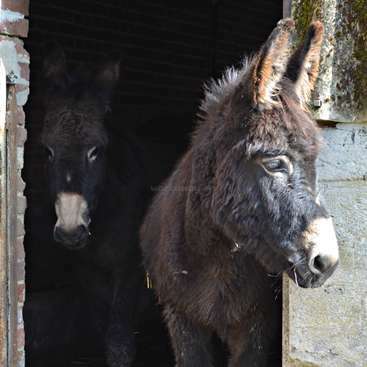 They are very trustworth, so we took the opportunity to go and see a friend in Paris while they took… read more care of the house, garden, animals and harvesting. We would thoroughly recommend them for what ever work you need doing, they are a pleasure to have around and are very appreciative of their hosts. Nice one! We will miss you. It was an honour and a joy to host Susan. Susan is an amazing artist in both the quality of her work and her ability to listen to her clients and include them in her art. 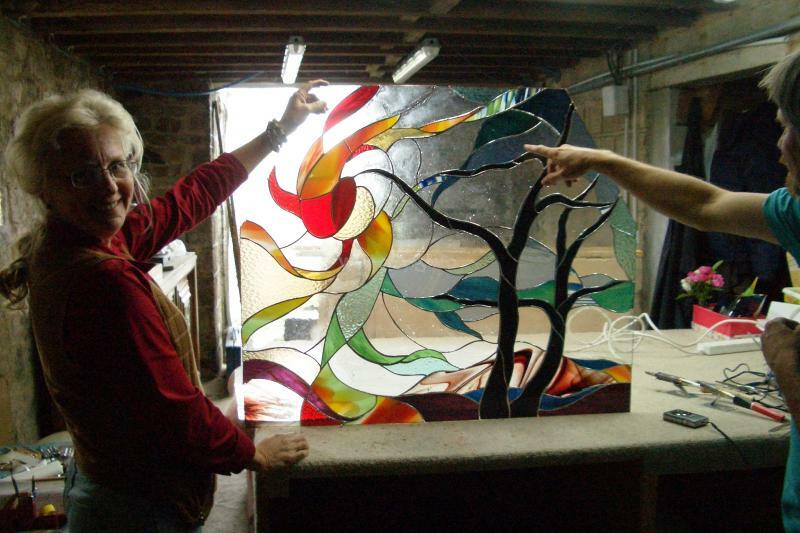 She bought aspects from Tai Chi and our natural environment into the stained glass while letting flow her creative spirit, so we most definately also have a piece of Susan to… read more cherish. Susan was a joy to cook for, fasinated by the local cuisine, very apreciative of our efforts, and respectful of our home and lifestyle. She was the easiest workawayer we have ever had to host. Please do visit, as a friend, when you are next passing by. This was a positive workaway experience. 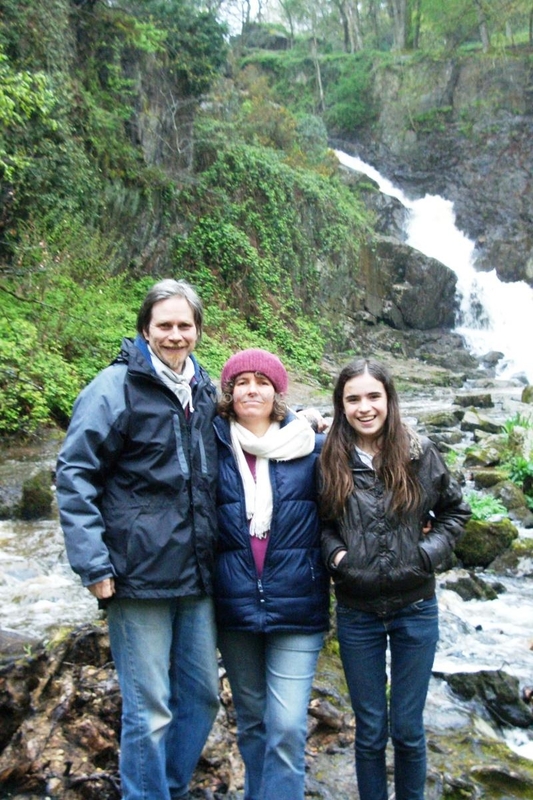 The Hamlett family shared their home and philosophy of permaculture with me. Our project was a collaboration which resulted in a beautiful work of art. Thank you for the chance to create in rural France. Claire is a fun volunteer to have around, easy to get along with and have in the house. She was a great help in the house and garden and spent many a day preserving produce and cooking for the family. Thank you for all your help. Garet is a trustworthy, sensitive volunteer happy to help in any way he could, from encouraging our kids, to helping in the garden and with renovations. We left him in charge of the house and kids when we went away and would thoroughly recommend him as a very respectful, interesting guest. Thanks for the great conversations. So even though my last bike ride ended up with a sudden end to my stay there, on reflection working here was intriguing. Definitely this is a place more suited for people with more skills atoned to their needs. Which is help with refurbishment and maintenance of the house and gardens, as they ask in their more updated profile. So yes I had my mind… read more on other matters, which obviously effected my performance in certain tasks. All I can say is that I am sorry and I meant well. I came positively, leaving also positively never minding the two broken arms. I found it quite difficult to do right by you guys, but I gave you as much respect as I could. I thank you for giving me this experience, wishing you all well and a good harvest. Izzy is a young lady full of energy and keen to help volunteering at every opportunity she had. She was excellent at picking our peas, berries and currants and freezing them. She was also excellent at picking and drying herbs and was a great friend to Jasmine. 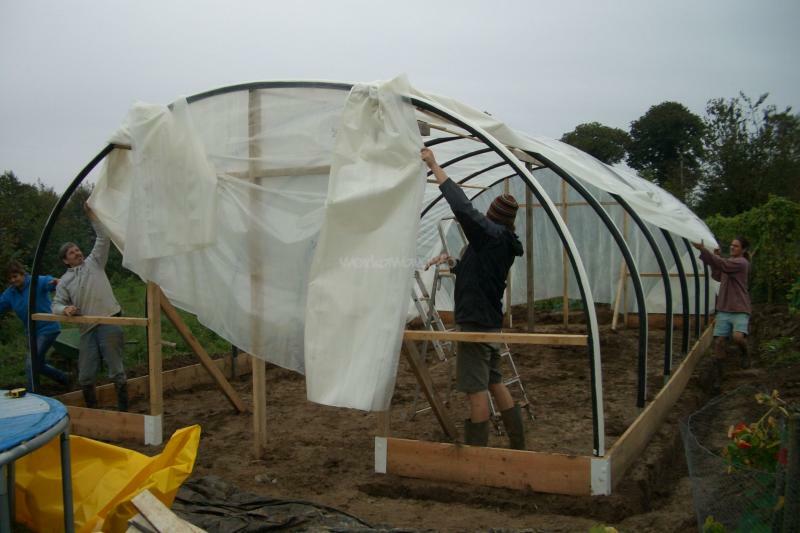 Izzy currently lacks concentration and attention to detail and so did not naturally… read more work to the standard needed for most of the gardening and preserving jobs leading to some awkward mistakes leading to crop losses and time consuming corrections. She will benefit greatly as she matures from listening to instructions carefully and keeping focus as to whether she is following them or needs to ask for clarification. Izzy has a well meaning heart and simply needed to come a bit more down to earth to be as helpful as she clearly wanted to be while volunteering with us. She is a naturally quick worker and so is truly excellent at all work which is quick and does not need to be done in a specific way. Izzy got on well with our other volunteers, enjoying going out with them on local trips on the bikes. She clearly benefited from our Tai Chi classes. I had a great experience workawaying with Peter, Katy and Jasmine. I loved reading all the books and listening to the CDs (they have a great collection of them). All of their ideas and projects were quite creative, it's nice to find other people who are free thinkers. It was a pleasure and an honour to have Logan come and volunteer with us. The private concerts will be a lasting memory as will his smile and joy of life. His original material is amazing and we truly hope he goes far. The world will be a better place for it. Have him volunteer with you just to listen to him play guitar and sing! Logan was… read more also an excellent worker helping mix concrete and cement, weed, hoe, clear a path, prepare ground and generally be useful. He could benefit from learning how to cook! He took every opportunity to speak French, (even though he knew less than almost all our other volunteers), something all can learn from. Full of energy he cycled to all the local towns and beauty spots soaking up the French culture. He was very popular at the local folk dancing having all the local ladies teach him dances! He was also often on the slack line. We miss you Logan! Justin is a very considerate guest always very aware he was in our house and respectful of our lifestyle. He was an easy volunteer to supervise as he always asked if unsure and listened to instruction. At first he struggled with weeding and gardening technique, but he kept listening and trying and by the time he left was a most excellent and… read more thorough gardener, concrete mixer, tree planter and general helper. He put the needs of the home above his own likes and gave his all even when asked to help clean, doing an excellent job and paying much attention to detail when the other men were outside doing work we knew he would rather have been doing. Justin mixed well with our other workawayers and Jasmine even teaching her to play chess. Thank you for your commitment and for choosing us as your hosts Justin. Jonathan got stuck in to the work straight away and helped with the concrete, cement, weeding, hoeing, path clearing, ground preparation, tree planting and cooking. Being a good cook he helped with dinner when asked and made us many lovely cakes impressing some dinner guests. He was always polite and considerate and aware of everyone’s needs. … read more He was fun and easy to have in the house as well as being an excellent worker. He learned how to balance on the slack line during his stay as well as taking advantage of our bikes to travel around with the other workawayers taking in the local towns and culture. We feel we got loads done while he was here. Thank you. Aimery and Sandra helped with the renovations, gardening and in the kitchen. They helped prepare ground for the poly tunnel, make a sign, clean out and look after the animals, pull up brambles, weed, and hoe, plant out and remove slugs. Sandra helped translate some business material and help with official French letters. She also got involved… read more with the herbal medicines by picking and drying herbs and helping make wine. Although Sandra had a limited repertoire in the kitchen we did learn some great French recipes, especially Tartiflet which we now eat almost weekly and galettes which we have on occasion. Aimery repaired and erected lots of fencing for us and helped Peter with plaster boarding and sanding. Together they removed an old carpet and cleaned the horrible smelling glue off the floor boards underneath. We benefitted greatly from their stay and their work was of a high quality. They enjoyed the wifi spending much of their free time on their computers so we did not get to know them as much as some of our other volunteers. Our French has been greatly improved by their visit, something which will always be with us. Thank you very much for your gentle and patient corrections. Unfortunately they arrived several months after we initially expected them and then changed their leaving date giving a reason that turned out not to be true. This caused us many problems and we are still living with the knock on effects, especially Katy. We feel they will be excellent volunteers when they can match the needs of their host to their own needs and keep to commitments once made. However until that is important to them we can not recommend them if having volunteers in specific periods is essential for you. If you are relaxed about arrival and leaving dates they are most excellent volunteers and we thoroughly recommend them. Staying with Katy, Peter, and Jasmine was an absolute delight, everyday a new adventure in the baby forest with its creatures. I feel really proud of the accomplishments I was able to achieve in their home. It was very clear that they wanted to make life as comfortable with me as they could and were always hunting for conversation topics that… read more could tittle us all - so we learned a lot as well. It was really nice to h ave my own room and meet the past and present workawayers of the Hamlett residence. Not to mention the connection to village life they offered, we went to all the social events which may have been the most interesting part of my European tour. I hope to come back some day. Alexis is an experienced, motivated volunteer who fitted in very quickly to our family. She has wide ranging knowledge allowing her to help with tasks as varied as business card design, animal care, food preservation and gardening. She jumped into all aspects of our sustainable household helping kill, gut, pluck and joint (where necessary) 18… read more chickens and 2 ducks as well as helping skin, gut and joint 2 rabbits. As Peter was busy with the leather business we don’t know how we would have finished the “animal harvest” without her. Our freezers are full of meat and our stores of jerky replenished. She regularly prepared fruit for the dehydrator while learning French and was great at digging up vegetables and cooking us excellent meals with our home grown ingredients. Very adaptable she helped fund her trip with some internet based work and she also made thoughtful, fun Christmas gifts to sell from materials she recycled from our home. 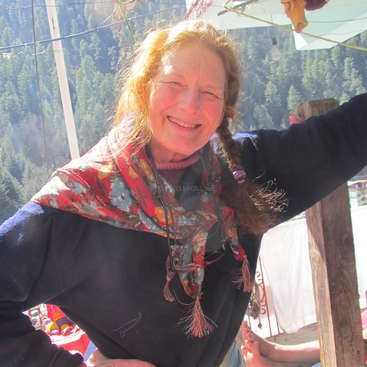 She was a great source of knowledge about different sustainable living methods she and her friends have come across in the States and opened our eyes to many possibilities. Alexis confidently mixed with the locals at dancing and was fun socially. We enjoyed many a stimulating conversation and she was a great source of challenging questions, making us re-evaluate and think about our choices. Always adventurous she was last seen hitching to her next Workawayer host. Thank you for choosing to stay with us and the lovely leaving cards. Katy, Peter and Jasmine gave me the best start into my gap year that I could have been hoping for!!! Welcoming from the first day they allowed me to become a part of their family. This place truly became a home for me over my seven weeks stay! The family and the house are full of live. Everyone is truly thankful that it became possible for them to… read more live the way they do now. I did not only learn incredibly much about alternative farming, animal care and the means of a self-sufficient way of living but also about how to be in balance with yourself and your environment. In my free time I experienced Thai Chi lessons, traditional French dancing, some lovely hours at the beach and endless hours of playing cards :D I did indeed cook a lot because I saw such a privilege in being able to go outside the door and pick everything you need for a meal. I miss that so much already! I came across Katy, Peter and Jasmine as open, curious and loving people that give you an incredible trust. I left you tons of “thank yous“ already but just want to say once again: the stay with you was an enrichment! I will come back soon. Henrietta is an intelligent, conscientious Workawayer who volunteered with us for 7 weeks. She gives 100% to whatever task she is given while being aware and sensitive to the whole family. She has amazing qualities and talents you would not think possible in an 18 year old. For example she would care for the animals simply because she could see… read more we were busy or put the rubbish out as she knew we had forgotten. She became part of the family immediately and was always fun to be with. She made the whole family feel appreciated and cared for. She loves to cook and is very good at it. She made deserts all the time and also loads of delicious main courses during her stay. During her (and Alexis’s) stay is the only time so far in our 8 months of Workaway hosting meal preparation has been easier with volunteers than for just the family. For Katy it felt like a holiday. Henrietta is motivated and organised so we simply gave her a list of jobs for the month and she organised and prioritised her work independently, either working with Katy or Alexis or on her own. Henrietta is now well qualified in food preservation, after having made jams, syrups, and compotes as well as drying foods in our dehydrator almost every day. She looked after our rabbits and poultry including daily feeds as well as cleaning them out, sterilising cages after an infection and nursing a sick rabbit. Henrietta is caring and careful and so perfect for jobs that need doing well, such as making jams. She was great in the garden harvesting apples, potatoes, rhubarb, peaches, pears, vegetables, grapes, quinoa and amarynth as well as weeding and digging and generally being useful. She regularly sorted our fruit, picking out any going off and preserved them before they went bad. She helped preserve medicinal herbs and dry herbs for teas. Being passionate about permaculture, food growing, harvesting, preserving and ecological living she asked loads of questions and made intelligent suggestions. She read loads of books and researched on line and would be great at research and planning tasks if given the chance. We had great fun together playing cards and she joined in with Tai Chi, dancing and all our trips out. She was popular with the locals and a great friend to Jasmine. We all miss her very much (including Ollie the cat). Thank you for the beautiful, thoughtful, thank you banner you left in your room. Do come back soon. I had a great time there! Peter, Kate and Jasmine are a lovely family. They are all very open-hearted and do their best to make you feel like a member of the family. They were very easy-going about the work. I could work at any time of the day as long as I worked for five hours. I ate some excellent meals and learnt a lot about preserving food.… read more Although the weather wasn't too fine the countryside looked great and I enjoyed cycling there. Nora is a lovely, motivated, hard working Workawayer who fitted in easily with our family. She speaks excellent English and was a great help preserving food, especially helping with the dehydrator and was also happy to take care of the housework. I really appreciated having someone who actually wanted to clean! She cooked some excellent Swiss… read more recipes and both Jasmine and Warren had great fun being with her, she was like a sister to Jasmine. Katy, Peter, and Jasmine are a lovely family. I loved their rural location, surrounded by beautiful fields, gardens, and small towns. I was able to borrow bikes from them to ride to nearby villages, which was wonderful. We also took multiple trips to the coast and Katy took me to see Mont St Michel. We got our milk from a farm up the road. … read more Everything was local and sustainably grown (most of it being from their garden!). It was wonderful to be helping the grow the food that I was eating. i learned an enormous amount about gardening, making tea, herbs, and sustainability. I am incredibly grateful for this experience!! Katy, Peter, and Jasmine have many interesting philosophies and life views that they readily share and discuss. I was able to attend Katy's Tai Chi classes, and the Commune's traditional french folk dance classes, which were wonderful!! The workload at times felt overwhelming, especially because before other workawayers came I was doing a huge portion of the washing dishes and cooking, but in the end I'm glad that I put in so much work. Katy is open to communicating if problems arise. And re-arranging the work schedule if necessary (for example, taking a day off in the middle of the week instead of the weekend). Katy, Peter, and Jasmine have a very unique, fascinating, and wonderful way of living, but if you are going to work there you do have to be willing to adapt to it, as they are not so interested in adapting to other people. 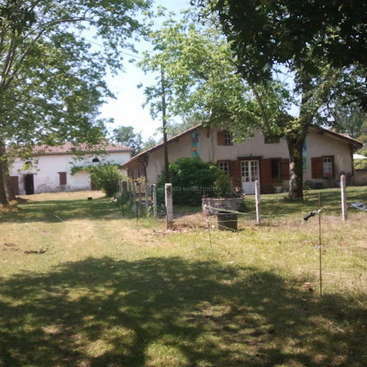 Overall I had a wonderful experience and I would recommend staying with Katy, Peter, and Jasmine especially to people really interested in Gardening, rural France, or Spirituality, and to living in a very different way while putting in lots of work! It was a very rewarding experience! Sonia is a wonderful workawayer who is an asset in the house and garden. She dug the garden, sowed seeds, pricked out seedlings and planted out for us. Sonia helped pick and dry medicinal herbs for teas, massage oils and balms and helped clean the house and cook. She was happy to cook with our home preserved ingredients and wasn’t at all fazed… read more to cook for 7 when we had a house full. She makes a great rice salad, bakes really well can follow a recipe and make one up. Sonia works with care and respect in the house and garden and always gives her best. When we had had no rain for months she took on the role of watering wholeheartedly shifting some of her hours to the weekend to better care for our young plants. That’s dedication! She is fun to have around and speaks French incredibly well, unbelievably well for someone who has only learned for 4 years. This let her integrate well with the Tai Chi students and make friends at dancing. She dances beautifully picking up the local traditional French dances with ease and wowing the locals. She loves to socialise so we enjoyed long meals and games of Hearts, Uno and Harry Potter Cleudo many evenings. She was a great companion for Jasmine. It was lovely to see her taking advantage of trips to the coast to swim, and our bikes to visit the local area and chat away at the milk farm. She is missed by not only us but also by our neighbours! We welcome vegetarians but do like to know in advance as this makes life much easier, so it would have been great if Sonia had let us know before she arrived that she is a vegetarian. If Sonia wants to workaway with you catch her while you can because the work will get done and you’ll have a lot of fun too. Thank you Sonia for all your help, you made a huge difference. Charlie threw himself into our way of life constantly asking what he could harvest and preserve and thinking of things he could cook for everyone. He got to know many a plum tree during his very fleeting 4 day visit, weeded and dug loads of the front garden and was pleased he had the opportunity to help catch, kill and preserve some of our free… read more range rabbits. (We would never ask any volunteer to help with killing the animals; Charlie very much wanted to experience the process and asked if he could take part). Great jerky Charlie! Charlie is a very respectful, aware young man who was very appreciative of our time, home, animals, trees and vegetables and a joy to have volunteering with us. Our only complaint is he is packing so much into his summer his visit was far too short! That said you are welcome back Charlie next time you are passing on your bike. We benefitted greatly from Mark and Deborah’s visit. Mark is a respectful builder who was always careful to create what we wanted. He helped demolish an internal wall, build up and tile a fire place and insulate and plasterboard the lounge walls and ceiling. He also helped take out extremely heavy old cast iron radiators which is more difficult… read more than it sounds and sharpened our knives wonderfully. Peter is now more confident and faster at the renovation work and also very much enjoyed working with Mark. Mark is fun to have around, enjoys teasing everyone and is very conscientious in his work. Mark likes to socialise with everyone; he enjoyed the commune BBQ and nearly won the boules competition, regularly came to Tai Chi and joined us at the beach one day. He also fulfilled his ambition to see the Tour de France when it passed nearby. Deborah found her niche writing a web site and doing the behind the scenes coding and connections to help get business. Although we have written web sites before they do not have all the connections Deborah took the time to put in place. We now know more about these aspects and hope they will give the new and old businesses a boost. Deborah loves the internet, reading news and current affaires on line daily and discussing what is going on in the world. Most of Deborah’s non volunteering hours were taken up with her travel writing and photography work so she did not join us on any trips out but she does assure us she made it to the end of the property on at least 3 occasions during her 7 week visit! Mark and Deborah are excellent skilled workawayers. We are looking forward to the boost their next visit will bring and welcoming back friends. We have just finished a 7 week stay with this lovely family and it was an eye-opening experience in how dedicated and passionate people can live sustainably and lightly on the land. My husband Mark did building work and I built a website so we weren't actually a part of the food production aspects, but we paid quite a lot of attention to how… read more eco-conscious Katy and Peter's methods were. It was something we had aimed for ourselves in Australia and never managed to achieve due to the harsh climate conditions. They have been totally embraced by the citizens of their rural French community and that speaks volumes since they are originally from England and have only been in France for a little over a year and a half. They've made every effort to be a part of the community instead of only associating with other expats -- and it shows in the richness of their lives. We left Normandy with a deep admiration for their sense of purpose and hard work. And their daughter Jasmine is a delightful and extremely bright young girl of 12. We've had wonderful long conversations with Katy and Peter and they are certainly well apprised of world events and social trends. And Katy's every-growing knowledge of herbal remedies and plants to sooth and heal definitely came in handy when I had an upset stomach for a few days! If you want to learn about sustainability, raising animals, gardening methods, herbal remedies, living in a more eco-conscious manner, eating seasonally, and immersing yourself in a genuinely French lifestyle, this is DEFINITELY the place for you to come. If you crave an urban experience with cafes on the corner and groovy shopping opportunities around the corner, you'll need to looks elsewhere. We feel that we have made lifelong friends in Normandy and this should say a lot -- we are planning a return visit later in the year!!! I had such an amazing month in Normandy with Katy, Peter, and Jasmine. They have an incredibly rich life in which they live out their ideals every single day. They are involved in their community and with their neighbors, they have a wonderful family relationship, and they are more than willing to include you in all of this. 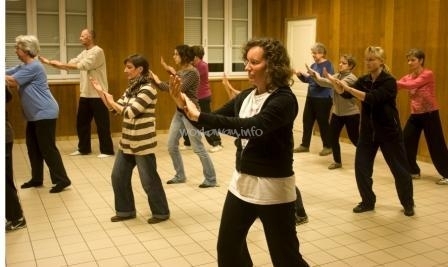 I learned french… read more country dancing and Tai Chi from Katy. Their part of Normandy is incredibly beautiful; cycling from town to town was such a joy. My first 2 weekends were busy, but they knew I really wanted to go to the coast so Katy promised we would go, rain or shine, and it turned out to be the most beautiful sunny day. Plus, no one packs a picnic likes Katy. Peter is incredibly generous and kind. Jasmine is precocious, outspoken, and very intelligent (she'll be the first to correct your french! ); she also plays with a sparkling joy. Katy holds the whole house together with an impressive organization that blows my mind. It's a very busy atmosphere; they are doing a lot in their lives. But there is always time for cooking a good meal, and savoring it. You will probably spend a lot of your time cooking, eating, lingering over a meal, cleaning up from a meal, or helping grow the meal. You can certainly take time for yourself, but just know that this is a very busy workaway. But if you can sink into the work, and really appreciate it, then you can really enjoy the flow. I learned so much! I constantly asked Katy questions; she loves answering them. I learned how to prick out seedlings and make cherry wine and probably weed a garden and how to keep a perrenial veg plant and how to preserve all sorts of stuff. I also learned that middle aged British men are obsessed with butter, mayonnaise, creme fresh, and salt and pepper. I cannot thank Katy, Peter, and Jasmine enough for sharing their wonderful home with me. I hope that I can come back some day. It was an honour to have Lauren visit us and share her heartfelt joy of life, nature and humanity. She is a breath of fresh air who touched us deeply. Lauren is a spontaneous, open young lady who wears her heart on her sleeve for all to see and share. She listens intently and soaks up life, ideas and new concepts with a fluidity and freedom… read more which is a joy to share. She spontaneously combines ingredients in the kitchen like no other to create the most amazing and varied salads and a soup from our dried cucumbers good enough for the most expensive restaurant. She has a capacity to eat salad like no other as well and fully embraced medicinal herbs and edible “weeds” in her unique cookery. She loves her food and is so enthusiastic to eat everything she is an absolute joy to cook for. Everything we are doing for the environment and nature she seemed to naturally take to a deeper level, gardening not just with care, but also with love. Just like we care at all levels for our environment, she sensed the energy and “chi” or life force of the plants and cared deeply for them. As she says, we are part of the circle of life. Enjoying the earth she spent most of her volunteering with us sitting on the dirt weeding, or planting and talking to our plants. She also truly enjoys digging the soil and she lovingly pricked out many a delicate seeding. She was always happy to help out inside cleaning when needed. Her work is of the highest standard. 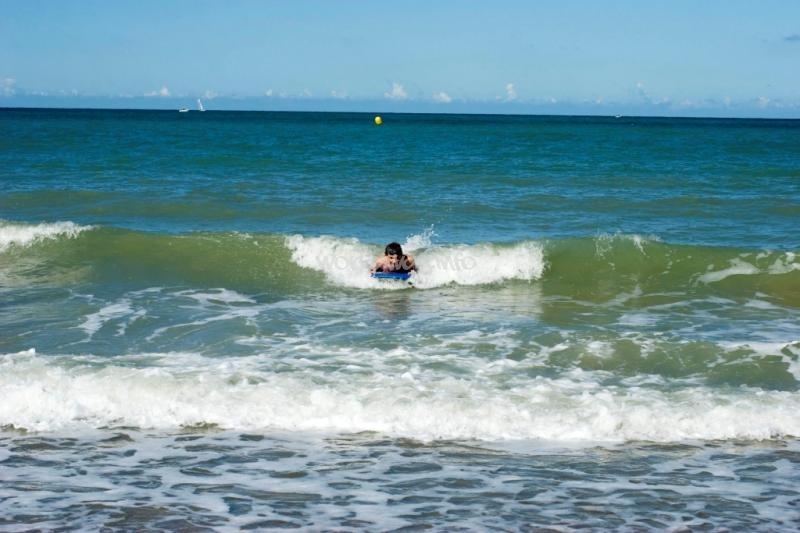 Lauren enjoyed long cycle rides, playing with the neighbours kids, and surfing or boogie boarding in the sea. We had the most amazing conversations and do hope she can create an opportunity to come back. Keep being you Lauren, for you make the world a richer place. Andrew is a friendly volunteer who is very easy to have around and who got on equally well with our teenagers and us. He proved himself to be a trustworthy, motivated keen and carefull volunteer happy to help out where ever needed. He is an excellent english tutor as well as being good at hard manual labour. He enjoyed seeing the sites and… read more wizzing around on his bike by himself or with the kids. He was very respectful of our home and way of life. We miss his wonderful piano playing. We can recomend him although we are hoping he would rather come and visit us again. I had a lovely time here. 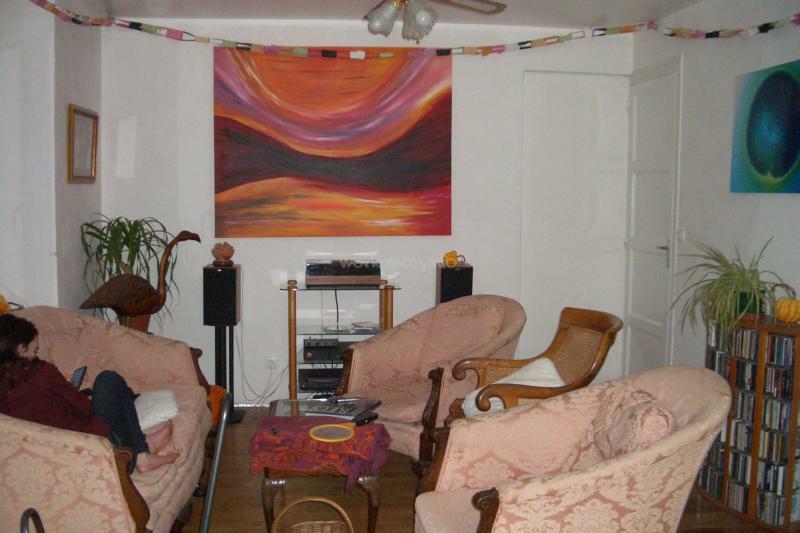 The house is situated in a very quiet area of Lower Normandy with lovely scenery and a quiet country feel. I brought my own bike but they had ones available to use, which i would recommend to go see the local villages and enjoy the windy roads around nearby. The family are lovely. We had some very good conversation over… read more the two weeks and they were accomodating, with some lovely home cooked lunches. I was invited to several of the family outings and made welcome to the Tai Chi classes. They were also very relaxed about getting the work done and putting in the 5 hours a day. I had lots of places i wanted to go and see, and they were happy for me to do my hours whenever it suited me to do them. The work itself was varied including: private tuition, making pickles, helping erect the pool, working on the rabbit penn and digging in the garden. Again, they were happy for me to do whatever type of work i wanted to do. Peter often joined me doing the digging and we worked on the fence together, which was nice, having company to help the hours roll by. All in all, i enjoyed my time there and would recommend it. Martine is a relaxed, likeable lady who volunteers to help whenever possible and works to the highest standard. She was equally at home gardening, cooking or helping in our French business. She corrected our translations, translated new material after we explained what we were trying to say in french and helped with business and official phone… read more calls in french. Martine is genuinely interested in learning english and in medicinal plants and was often taking notes. Fun to get along with she joined us Folklore dancing and at Tai Chi. Katy very much enjoyed learning to cook rabbit french style and exchanging english recipes. We hope Martine is able to come back soon. Victor is a strong, practical young man who worked well in every task he was given. Thanks to Victor we have some excellent fences and a well pruned cherry tree. He works very well on his own as well as with us, including plaster boarding a ceiling which is really hard work. Victor is easy to get along with and a joy to work beside. He got on… read more equally well with us and our 12 year old daughter Jasmine and became part of the family during his stay. He appreciates his food and has a very healthy appetite. He can eat vanilla ice cream with just about anything! Dexter is a happy, relaxed workawayer who is willing to try any task he is given. He works very well on his own in or outside and is not afraid of physical work or cold weather. He loves technology, films and running. We can thoroughly recommend him to either work on his own or with you. He did loose focus quickly when paired with another… read more volunteer. We did not speak French while Dexter was visiting because we thought it was rude as he does not speak French – we now realize how silly that was, we did miss speaking French and clearly he would not have felt excluded. Lesson learned. With our current volunteers we cook, wash up and work together and it works very well, with much conversation and laughter in French and some in English too. So we have now changed so volunteers cook and wash up with us every day and are not left on their own washing up or volunteering feeling like servants! Since Dexter and Sindy left both our volunteers want to return so it appears this is another lesson learned. Dexter spent some evenings streaming films in our lounge he did not pay for which made us very uncomfortable so we have changed our listing so volunteers know we are old fashioned in that way. Dexter we have updated all our listing to be much more explicit and hopefully accurate. Please spare the time to take a look at it and email us to tell us whether you think it is now accurate – we do not want to attract volunteers who are not going to enjoy the set up here because we have learned workaway is an uplifting, wonderful experience when it works and very difficult when it doesn’t. We hope you had fun in Prague. Unfortunately I can't recommend going here. The title of the post is "Share our Journey to Sustainability" and the word journey must be emphasized. I felt that they were unsure of what work to be done and the confusion made it difficult to keep motivation up. Once the work was decided upon it wasn't bad at all, but like Sindy said in the previous… read more rating, there was a lot of "servant" house work which you wouldn't expect from the description. I think once they become more confident and have more experience it may be a good place to workaway. The availability of wifi and bikes was a definite plus seeing as town is far away (but very bike-able!). If you're looking to learn French it could be difficult to get your practice in here. They were very thoughtful in getting us some snacks and drinks that they wouldn't normally buy for the family. I think that the place could improve in time! Happily since Sindy visited we have had two workawayers visit and they have both enjoyed their stay, one workawayer is definitely coming back soon, and the other is trying to arrange things to return in July. The workaway website suggests 25 hours volunteering a week plus helping with the cooking and washing up which is what we ask. On days off… read more all Sindy did was set the table and wash up after meals in a team of three. We had planned lots of preserving work and gardening to do with Sindy and for Sindy and Katy to prepare meals together because in her listing she had checked the cooking box and also said she was a trained chef which we were all looking forward too. However she did not want to cook so we had to find alternative work, leaving Katy in the kitchen much of the time unable to work alongside her. We are guilty of not speaking French with Sindy because she never asked us any questions in French and we respond in the language we hear. At the moment we are speaking lots of French because our visiting workawayer often speaks in French. Sindy was told in advance about the heating arrangements in a pdf file with information about us and what to expect. The house will be hotter next winter as it will be more insulated. The road has 10 cars or tractors per hour. We were suprized by Sindy’s behaviour. She shushed us in our own lounge because she wanted to watch a streamed film even though we had expressed our discomfort at watching films without paying for them. She asked us nothing about sustainability and barely spoke to us after the first couple of days. When she left we discovered empty beer bottles in our daughters bedroom. Half way through her visit we had to put away the laptop after discovering crumbs lodged in the keyboard after she had used it. can't recommend going there. The describtion sounds good but the reality isn't. The family is not welcoming (except the daughter) and don't understand the concept of workaway. They mix it up with cheap servants who have to clean after them, even on our days off. We didn't work along side them but replaced them, which leads to… read more frustration. The actual work wasn't that bad, once they decided what we had to do, but as they don't really know what they are doing it was hard to stay motivated. The food was mostly home grown but simple and plain. You can borrow a bike to get about in the countryside which is nice. They have wifi and a good cd selection for spending the evenings as there isn't a town near by to go out. It's certainly not the right place to improve your French, as they speak English at home. The property is close to the road and the lack of insulation in the house made it really noisy and cold, which will be fine in the summer, but not at the End of Feburary. We were the first volunteers there and they might improve with time and experience but for now that's my feedback. Welcome to Thiérache in France. Enjoy French/Belgian culture, permaculture/organic gardening, renovation and eco-friendly living!